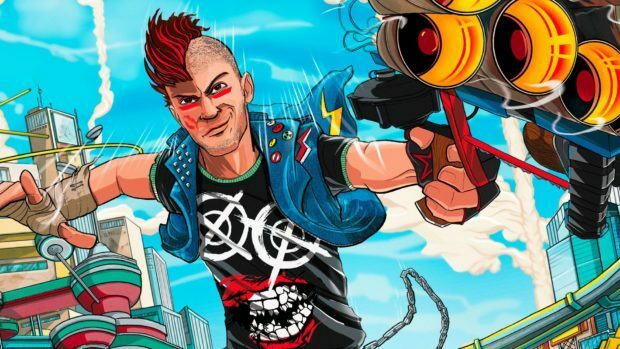 Sunset Overdrive’s release on PC has been confirmed thanks to a leaked achievement list. The game has been rumored for a while and it looks like XO18 will finally reveal more about it. However, it doesn’t seem like it is a Windows Store exclusive. Sunset Overdrive PC features 80 achievements but what’s interesting is that somehow a few gamers already have access to this game. Get to the bottom of Fizzco’s corporate secrets. Reach Level 99 in Ignatius’ epic RPG campaign. Collect 20 Amps from Floyd. Survive the glider crash and look for another way out of Sunset City. Become an honorary Troop Member by finding Bryllcream and defeating Norton. Save Sunset City from Fizzco’s second-most powerful robot. Arrive at the Mooil Rig. Smoking causes lung cancer, heart disease, and instant death. Light fires big enough to see from space. Protect the boat from bombs, mortars, and OD’d. Anybody can be a movie producer because nobody knows what they do. Build the “Feel the Burn” weapon for a guy who is stir-crazy… or just crazy. Put on a robot costume and collect the kill codes. Reroute the power inside the factory in the weirdest way possible. Find Fiona and Lou, then help them escape by fixing Snackwrap. Ride a cargo container into the factory. Defeat Brandon. Like, for real. Find all 12 of Ainsley’s drawings scribbled on city walls. Replay the Floating Garbage mission and beat the score of 50,000. The game should be out early next year on Windows 10 Store as well as Steam. The was recently spotted on SteamDB which shows Microsoft won’t have exclusive rights to it for Windows Store.